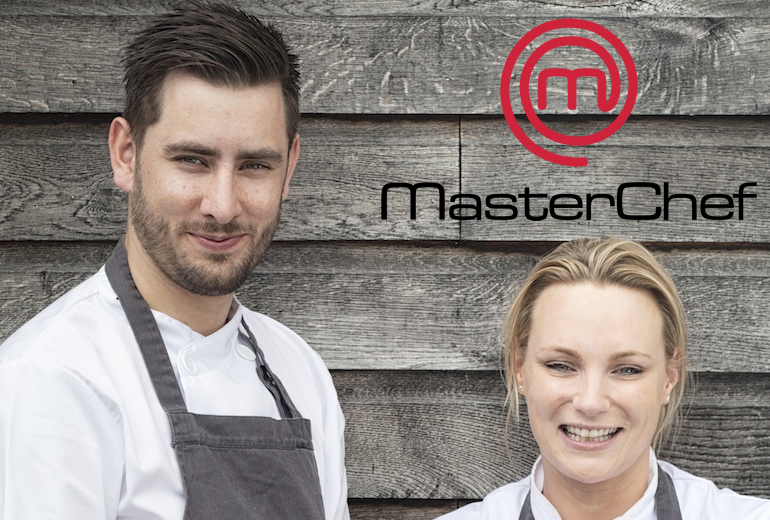 Join BBC MasterChef Professionals Winner Chef Mark Stinchcombe who willhost an intimate 4 hour cookery MasterChef masterclass with you and your guests. Tips and insights shared on MasterChef with some of Marks winning dishes. Then relax, before you join Mark and Sue for a private dinner, including Mark’s winning dishes and a glass of English Sparkling wine to enjoy with your meal. Priced per person. MIN x 4 persons. max x 10. Each of your guests will receive a local produce/ingredients goodie bag, and signed copy of Signature Chefs Recipe Book (RRP £20), signed by Mark and wife Sue, featuring award winning recipes including 15 Michelin Star Chefs!